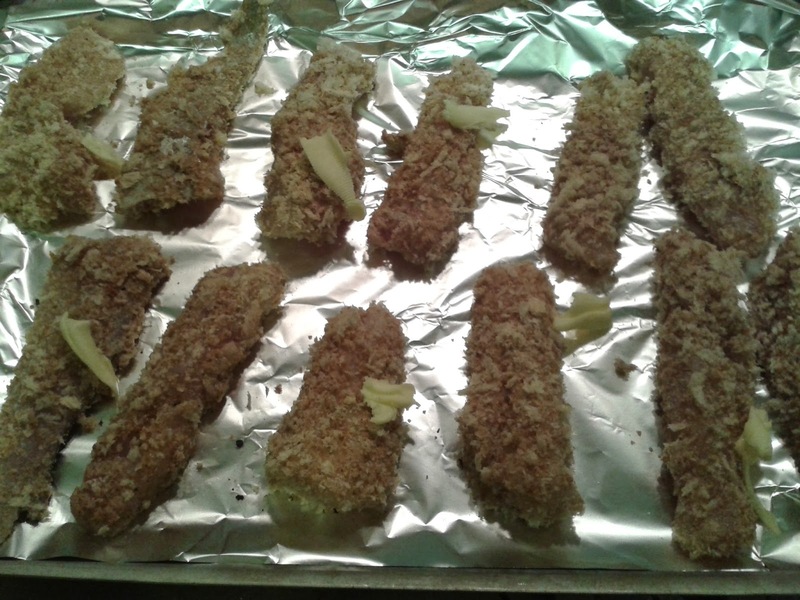 A first attempt at homemade fish fingers! Today was another day, another play date and another chat with a lovely mum. Today we were talking about fish fingers. This is something I have had on my to do list ever since I ran out of them after giving up supermarkets (and I have always thought they were something I should have a go at). I have made fried fish successfully before but I haven’t made fish fingers. Essentially the process is pretty much the same though and the lovely mum gave me a few hints and tips on how to make them. So this afternoon off I (and my two kids) went to my local fishmongers and bought some white fillets of fish. I didn’t do very well on my plastic free mission as the fishmonger put the fish in a plastic bag and then into another one. When I went to the butchers the other day I actually took a small bucket with a lid with me to put the chicken I bought in, but it was a little too small. I need to get myself some decent sized buckets with lids for fish, poultry and meat..
Breadcrumbs – I made my own by blitzing ends of loaves that had been hanging around in my freezer. One by one (or a load together if you run out of patience and time as I did) dust the fish strips with first flour, then egg, then breadcrumbs. Lay them out on a tray to put in the oven dotted with butter and grind some pepper over them. The lovely mum’s tips were (in case you were wondering) to marinate the fish first in lemon juice for a while, making sure you dry it off before coating it in flour, egg and breadcrumbs and to leave the raw fish fingers once coated in the fridge for 15 minutes before cooking as it helps the breadcrumbs to stick to the fish better. Plus I think she mentioned adding herbs or spices to the breadcrumbs (but even if she didn’t I think it would be a nice idea…). As far as cost goes, I spent about £10 on the fish and I managed to get 2 1/2 meals for the 5 of us out of it which isn’t bad considering the quality of the fish inside your fish finger! I think making fish fingers is very much worth the money and the effort! So far I have given up shampoo and supermarkets as part of My Year of Eco Challenges and now I’m preparing to give up plastic too. If you have a moment I would really appreciate it if you would consider sponsoring me with an action on my DoNation page. Also if you liked this post please click like on Facebook and follow on Twitter – thanks so much! This entry was tagged eco, fish, Food, Frugal, Green, plastic free, recipe, thrifty, zero waste. Bookmark the permalink. ← What a great haul!